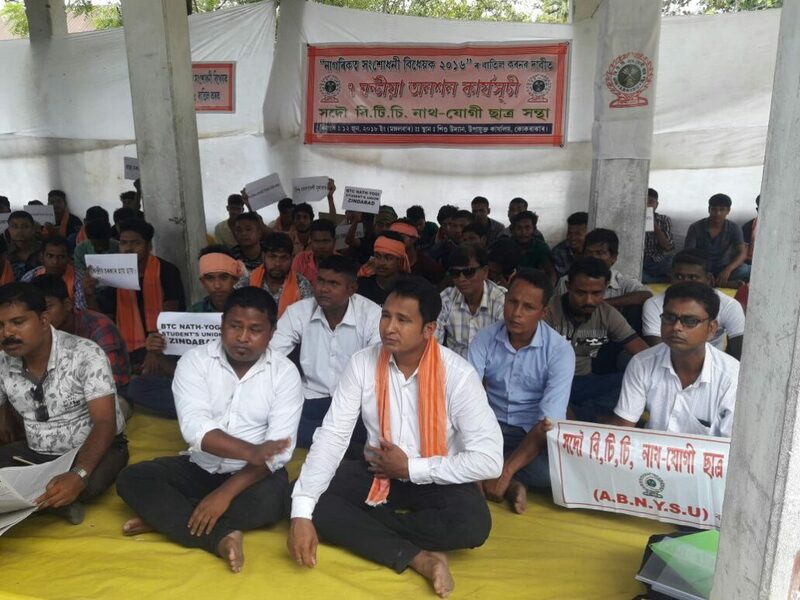 The All BTC Nath Yogi Students Union on Tuesday carried out a seven hours hunger strike in protest against the controversial citizenship bill. Over a hundred members of Nath Yogi Students Union, women’s forums and locals carried out the strike near the Children Park in Kokrajhar from 9 am against the controversial bill. The protestors demanded that the Citizenship (Amendment) Bill, 2016 should be scrapped immediately as the culture, language and identity of indigenous people of Assam are at stake and Assam cannot take the burden of people from neighbouring countries. The All BTC Nath Yogi Students Union also condemned the incident of mob lynching of two artistes from Guwahati at Panjuri Kachari village under Dokmoka Police Station in Karbi Anglong district. They demanded immediate action and punishment to the guilty involved in the crime. They also urged all sections of people to maintain peace and harmony.